Discussion in 'Tank Pictures' started by huntindoc, Apr 12, 2013. Those came from that frag swap we went to in Ft. Smith. I think those are Mind Blowing Palys or Mind Blower Palys. Something like that. I have them too. She has the good stuff. Looks like the prices are pretty good too. The rainbow RFAs are about 80-90 only. Lately, anything that looks somewhat nice is hitting 60.00-150.00. The hype for RFAs has really driven up the price lately. The free shipping @ 250.00 is nice too. I really like how they give the size of the RFA as well. Now I just have to wait till an amazing RFA appears. 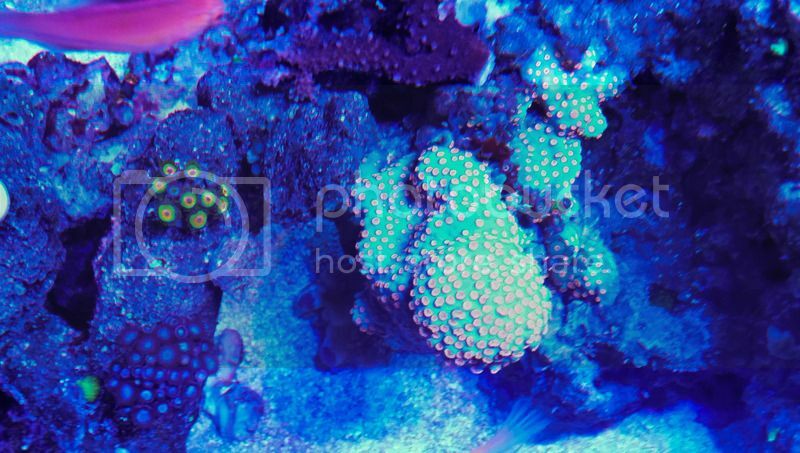 My new plate corals. They both ate quite a few mysis tonight. A few updates. The first is bitter sweet. The acro on the left was 3 x this size before my dosing problem last Sept. 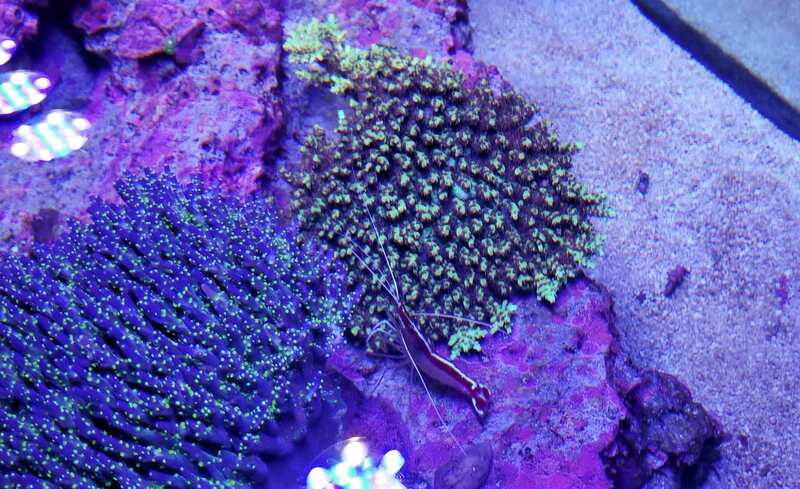 I was about to throw it out a couple of months ago when I noticed it wasn't completely dead....there were a few polyps on the underneath side of a few branches. It's not only covered a lot of the dead skeleton it's colored up nicely. My plate corals have migrated together...do I need to separate them? Love the rock flowers! I figure the plates will move if they aren't happy. Yeah, seems like they want to occupy the same space. I didn't know because the purple/green one is actually on top of the yellow one a little. Love the rock nems!!! May have to look at getting one or two in the future. 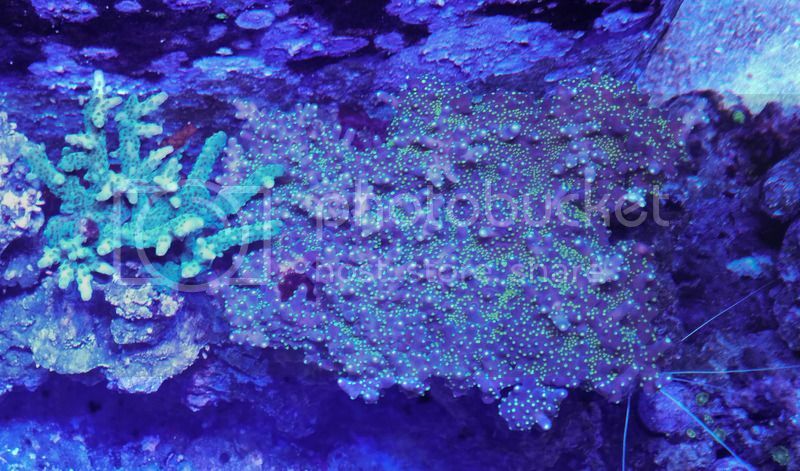 My new Duncan from Big Show Frags. 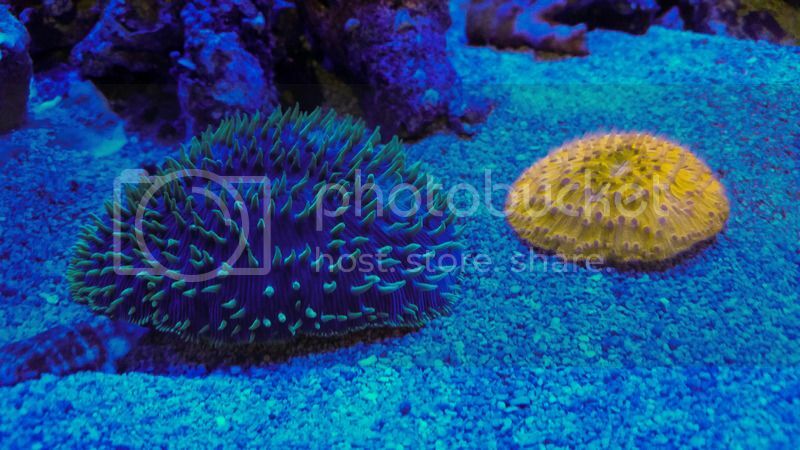 Purple polyps with long bright green branches. 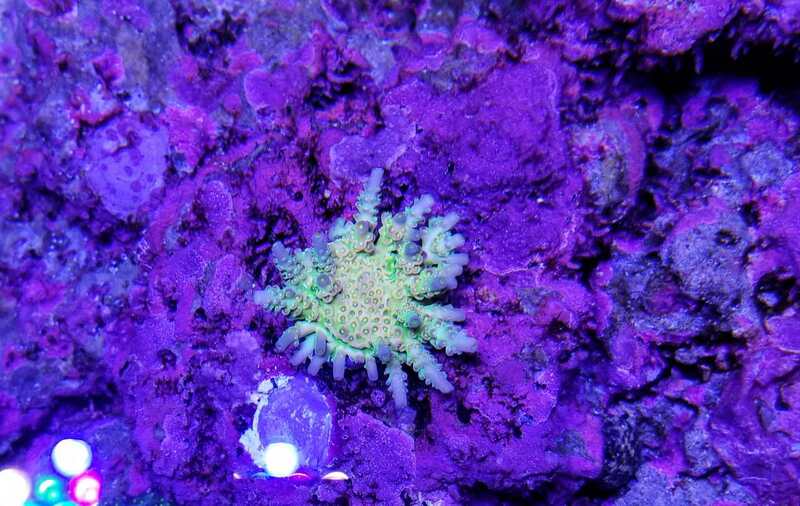 Not super happy yet but better polyp extension than at the vendor. Ooops! 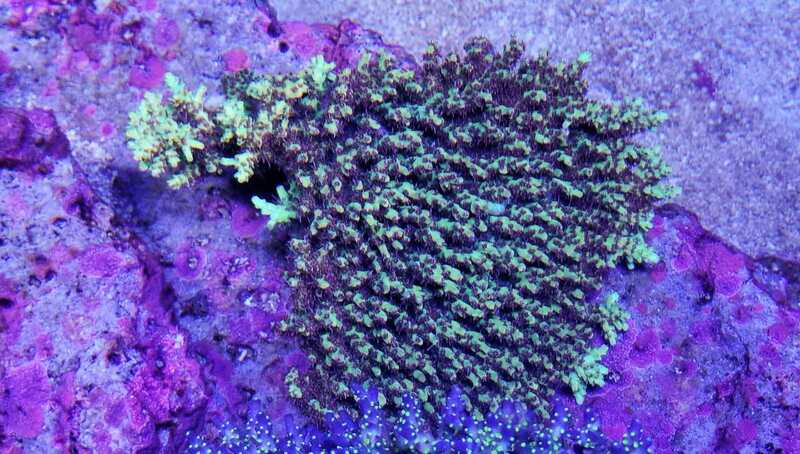 Fat finger fragged this big hunk of Corey's purple acro during a water change today. Looks like you get a much bigger frag Corey. Someone else get's the smaller frag I cut. Playing around with my new cell phone and took some pictures of the tank. The white balance adjustment really helps with the "blue out". 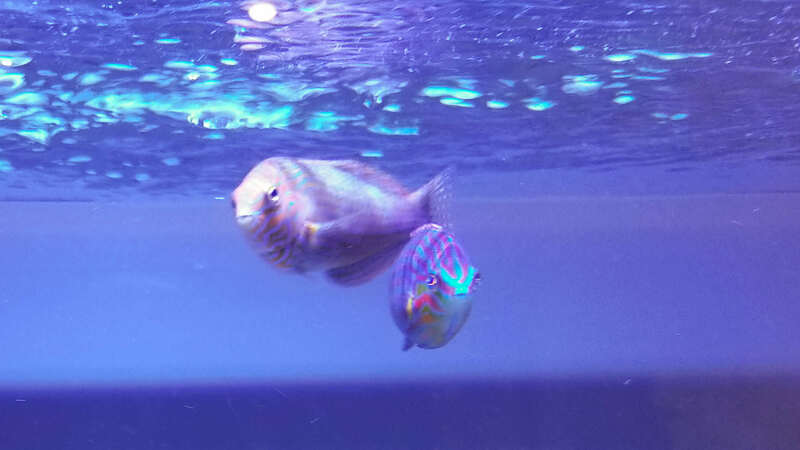 A couple of my obese wrasses. The melanurus looks like a Titan sub. Kim, LJC6780, SilentReefer and 1 other person like this. LJC6780 and roco like this. Well the last year has not been a great one. My Dad as many know was very ill and passed away about a month ago. My tank crashed due to dinoflagellate out break about 8 months ago. 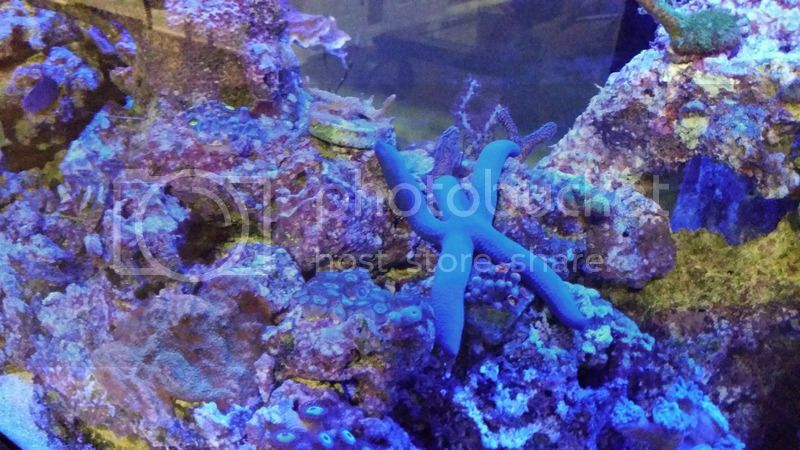 It's just now starting to be suitable for adding corals back. Seems the only things that have thrived have been my clean up crew and my RFA's. They have spawned several times in the last 6 months and often on the same day. These videos are from a couple of weeks ago. And this is the Trochus snails spawning. The fish have caught on and are taking advantage of the easy meal now. SilentReefer and roco like this. Wow! That’s really cool! Can you imagine having a hundred baby nems? I would love that. Unfortunately I seem to be very unlucky. All 5 of my RFA's are males! 1:32 odds...SMH. Things have finally turned the corner and the tank is starting to rebound nicely. 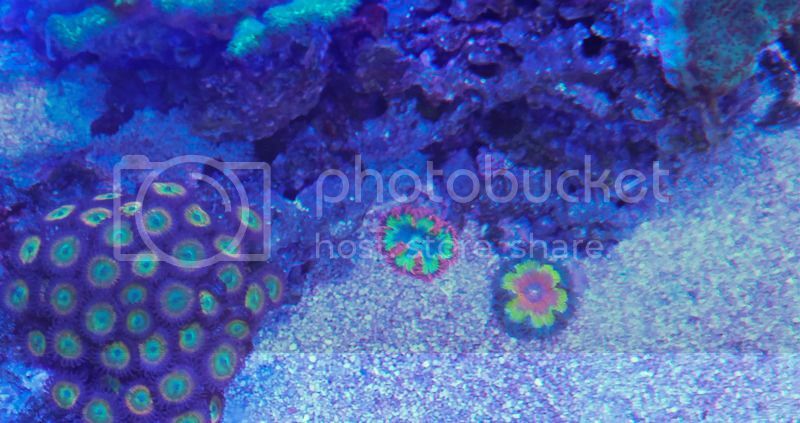 The corals from Mark (Silent Reefer) are doing great. Parameters are stable and I'm seeing some growth again. graciesdad and roco like this. I am Jealous! 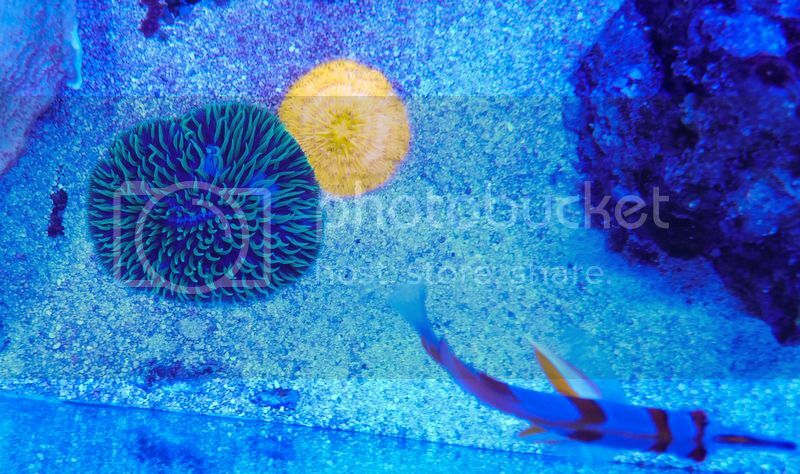 All of the fish and coral are beyond amazing like always! Aaron, you should have seen it 3 months ago. Looked like a desert except for the RFA's. It's made a great recovery though. Have a Pintail Wrasse, Exquisite Wrasse and Orange Back Wrasse in QT.